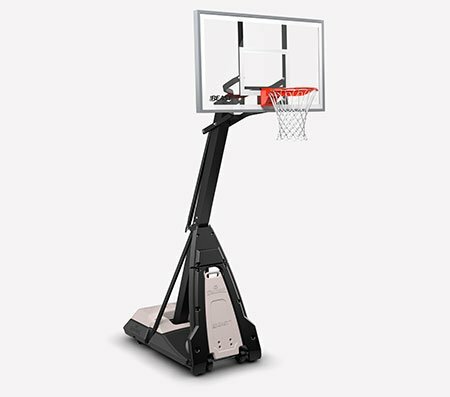 The only portable system of its size, The Beast Glass Portable Basketball Hoop gives you the stability of an in-ground, but with a wheeled base that makes it easy to move. 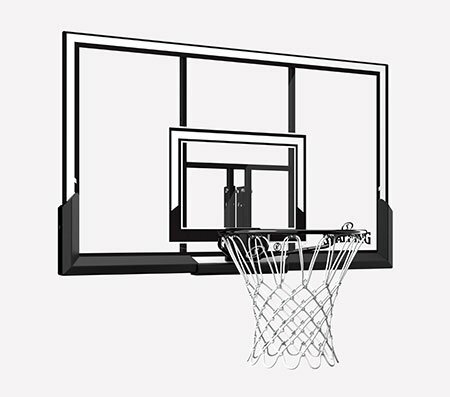 The 60" or 54" glass backboard gives you the true rebound you'd find on the professional court. 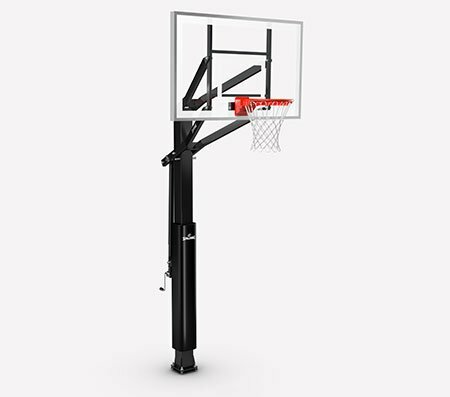 It has a sturdy steel rim that can handle fierce dunks and drives, and you can adjust the height of the rim to anywhere between 7.5 feet and the league-standard 10. This hoop gets its stability from a two-piece 5" square steel pole. It rests on a 55-gallon base equipped with 4 wheels, so you can move it down the driveway without having to tilt the whole system forward.